A few years ago I got a 6-foot Komunity surf leash back when Komunity was just starting out. Komunity is a relatively new company, started by Kelly Slater, that specializes in traction pads, leashes and boardbags. I got to put their first edition comp surf leash through a thorough testing process for them over the past few years. I used the leash in all kinds of conditions, many times in waves that were larger than the leash was meant for, and for the most part it performed very well. On big waves it would sometimes stretch really far and then fling back at me, which can be scary. The leash rarely tangled up or gave me any other problems. I’ve had several leashes stretch out permanently, where they go from a 6-foot leash to a 7 or 8-foot leash over time. But this leash has stayed the same length even though it’s constantly stretched by waves. The comp leash has a smaller cuff for the ankle, which can be a bit more comfortable than the normal sized leashes. The comp surf leashes are also a little thinner than the standard leashes. 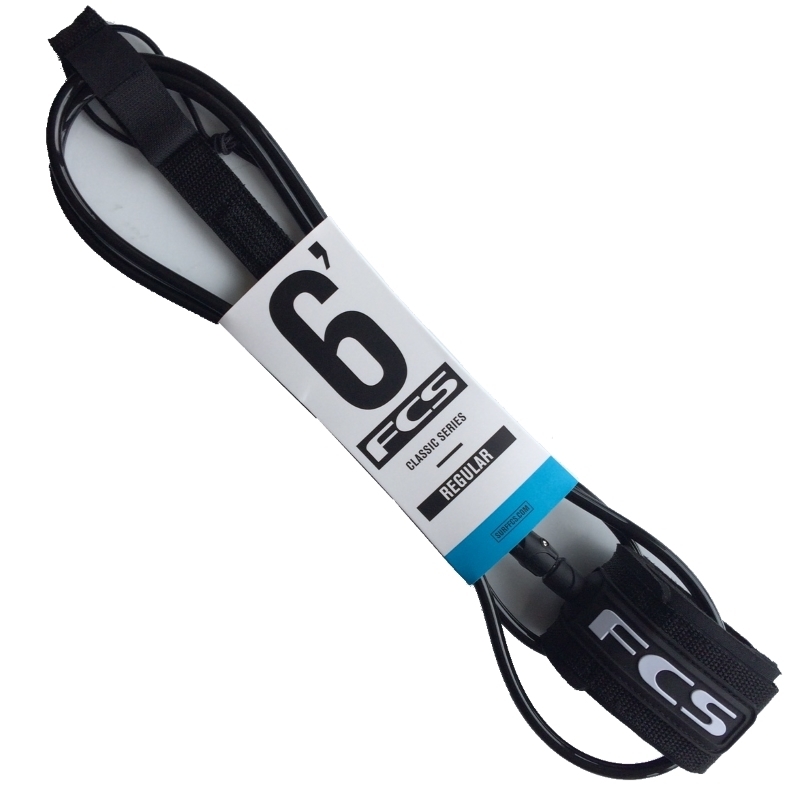 Standard surf leashes are 7 to 8mm thick, while the comp leash is only 5.5mm thick. That makes for less leash to be dragging behind you in the water, and can help with tangling and other problems. It also makes the leash a little weaker than a standard leash. I’ve already said that I pushed the limits with this leash, but I should add that it didn’t last forever. I let a friend borrow it after he snapped his own leash surfing a local spot on the East side of Oahu, and moments after going out with my Komunity leash, it snapped as well. The waves were really thick and powerful that day, and a comp leash was probably not the best choice. But for your everyday small to semi-large surf, the Komunity 6-foot comp leash is a great choice.